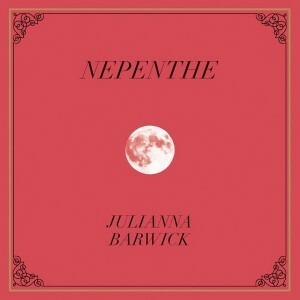 MUSIC REVIEW: Julianna Barwick, Nepenthe. Vocal Ice Sculptures. In the past, I have found Barwick’s vocal-based ambient music too wispy. A Barwick album is mostly made out of layers of her vocals that mass and drift along like dandelion seeds. It’s admirable, in the way looking at a frozen lake is. But it’s too insubstantial. For whatever reason, Nepenthe has grabbed me. There’s more structure to her work this time. And rather than just being ‘celestial,’ there is a definite atmosphere to each of the compositions–something darker and more pensive. It holds together as an album. It’s still chilly and wispy, but the melodies are stronger.The song One Half is even catchy, and has words. Nepenthe is closer in spirit to Sigur Ros than it is to Enya.